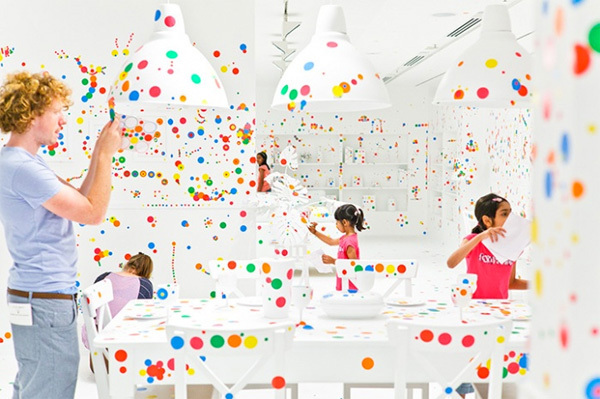 Japanese artist Yayoi Kusama invited people to transform an entirely white space, including furniture, in a complete spectacle of dots. 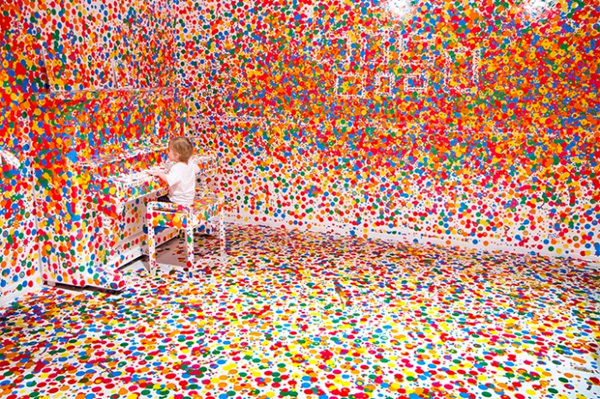 Children who visited the exhibit at the Queensland Gallery of Modern Art in Brisbane over a two week stint placed multi-colored colored stickers throughout the installation. 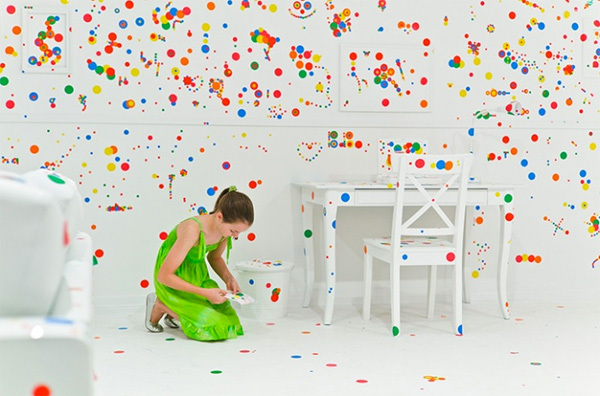 Thousands upon thousands of stickers were placed over every wall, table, chair, and furnishing effectively “obliterating” the space…hence the name – The Obliteration Room. 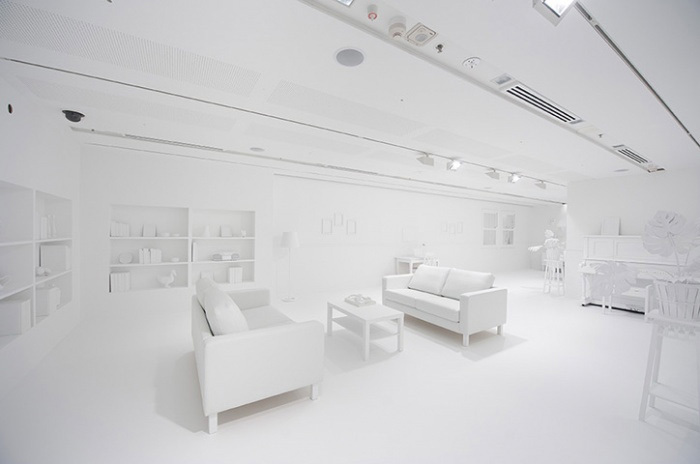 This Is What Major Cities Would Look Like Without Any Lights. 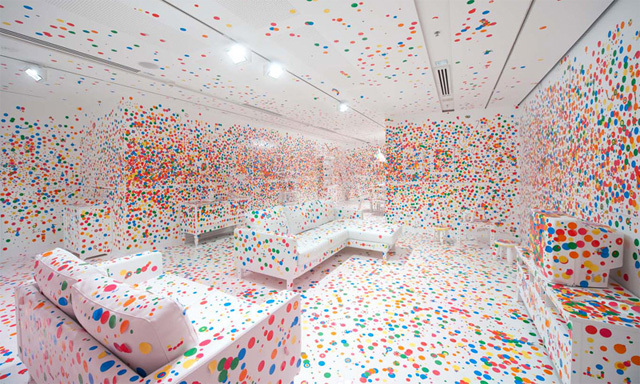 And Oh God, Paris Looks Stunning.